Relax, restore, and energize your physical and mental well-being by coming together to create rhythm, a universal language that allows us to connect with ourselves and others. 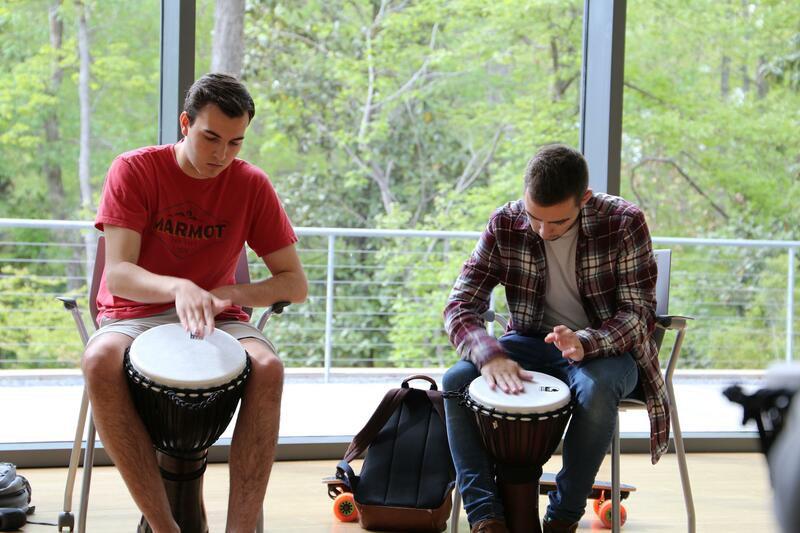 Through this experience you will begin to encounter how drumming induces relaxation and feelings of well-being, while releasing stress. Come drum with us every Thursday from 5:00 - 5:50pm in Room 148 of Student Wellness Center behind the pharmacy on the first floor.